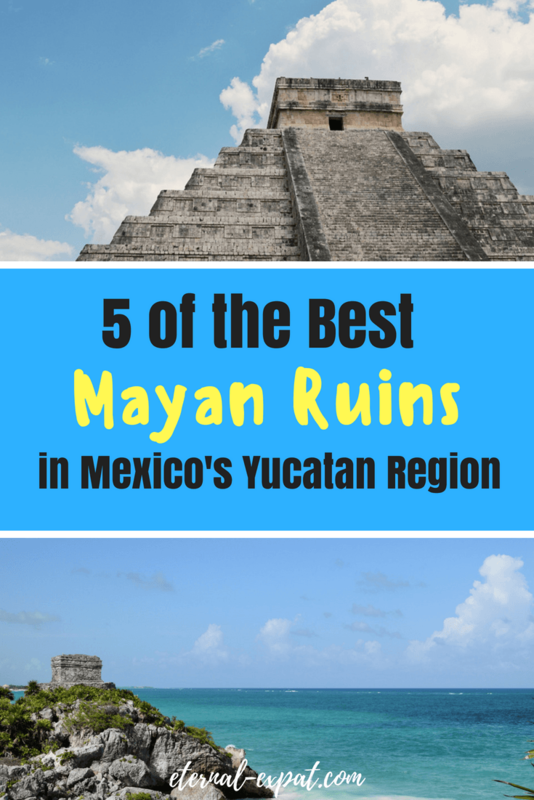 If you’re looking for the best ruins in the Yucatan, look no further. I’ve only been to this amazing side of Mexico a few times, but I try to visit at least two or three of the Yucatan ruins whenever I’m there. There are so many Mayan ruins in the Yucatan peninsula, it can be hard to determine which are the must-sees and which are the ones to save until next time. It’s also hard to know how close you really are. On a map, none of it looks all that far from one another, but the Yucatan Peninsula is a lot bigger than you might think. If you’re based in Tulum, Coba is a great addition to your trip after visiting the ruins by the beach. 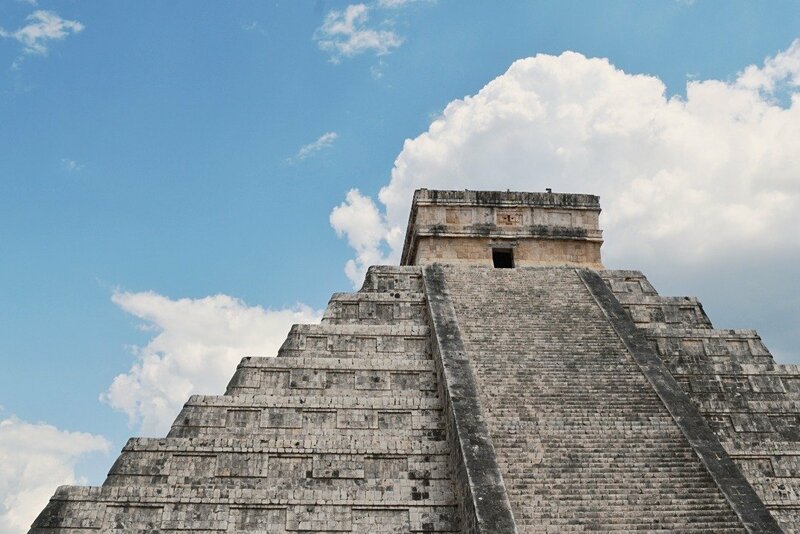 However, a trip to Chichen Itza is pretty far – it’s more than three hours each way. From Merida, you can definitely see a ton of the ruins on day trips, but getting to Tulum would require an overnight trip, there’s no chance of seeing that in a day. Whatever you don’t see on this trip just makes for a good excuse to come back again! Chichen Itza is by far the most famous set of ruins in Mexico. It is the beautifully formed pyramid that I dreamt of visiting ever since I first moved to Mexico a few years ago. Seeing it person was just as incredible as I imagined it would be. I was based in Merida and my friends and I had rented a car, so we could easily get from Merida to Chichen Itza and back again in a day. We opted not to get a guide, and instead grabbed a map and I also took screenshots of the Chichen Itza page of Lonely Planet so I could read out facts about each structure as we walked around. You can definitely see Chichen Itza as a day trip tour from Cancun and Playa del Carmen if you go with a company like Olympus Tours or Get Your Guide. It’s a long day and they pick you up pretty early, but if you want an English speaking guide who can tell you more about the ruins and you don’t want to rent a car, this is definitely the best option. A Chichen Itza Tour usually also includes a stop at a cenote, which is a naturally formed freshwater pool as well as a buffet lunch. This Chichen Itza tour gets really great reviews and is the one that I’ve sent family and friends on when they are in the Yucatan on vacation. Uxmal is an easy day trip from Merida. It’s only an hour away if you want to rent a car and self-drive. In my opinion, driving yourself is the best and if there are two or more people going, it’s also the cheapest option. You can easily rent a car for the day in Merida for about $35. Entrance to the ruins is minimal. If you’re really on a budget, you can pack a lunch for the day or you can have a cheap meal in the nearby town or once you get back to Merida. You could easily spend a few hours here exploring the ruins site. It’s one of the biggest ruins in the Yucatan and it also happens to be one of the least touristed, so you’re likely to have it almost all to yourself (except during Easter). One of the things that makes this site slightly different to other Mayan ruins in the Yucatan is that you can actually climb up some of the different pyramids. 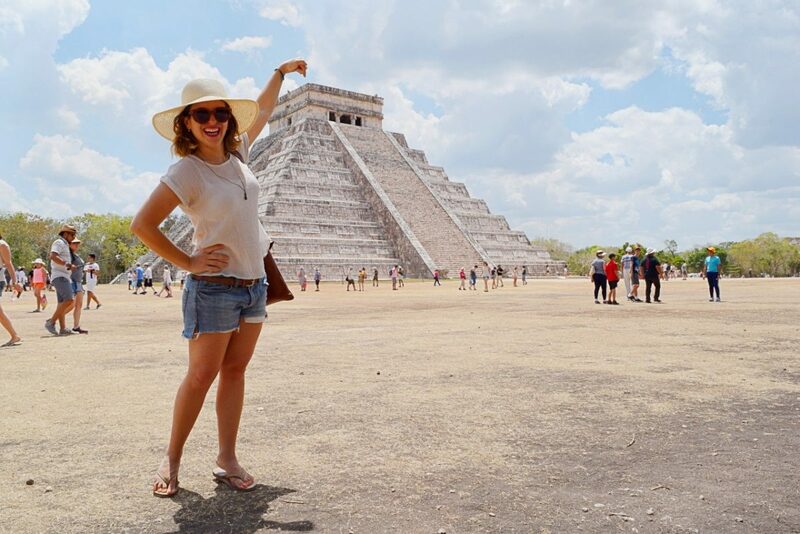 Because the site receives so few tourists throughout the year, the wear and tear on the ruins is minimal compared to what it would be at a site like Chichen Itza. If you don’t want to rent a car in Merida, you can also take the bus from Merida to Uxmal. Head to the Terminal de Segunda Clase (TAME) bus station in Merida where you can hop on a bus that leaves every two hours between 6am and 7pm (check the day before so you don’t miss the early ones). It costs 50 Pesos each way. 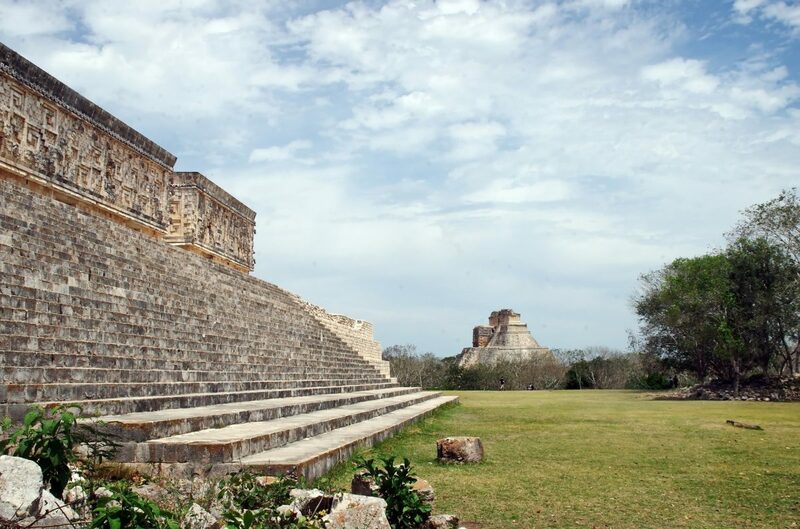 If would prefer to have a guide take you through the ruins to explain more about the history as well as to visit a few different nearby sites, this tour from Get Your Guide takes you to the ruins at Uxmal as well as the ruins at Kabah and a stop at the Mayan Chocolate Museum. It also includes lunch, a bilingual guide, and all of the entry fees. If you would rather just have some transportation so that you don’t have to stress about rental cars or buses, you can opt for this $29 tour which takes you on a Grey Line bus and solely includes transportation to Uxmal and the chocolate museum as well as the entry fees. Coba is a smaller set of ruins, but similar to Uxmal, is not as widely visited as others, especially early in the morning before tours from Cancun and Playa del Carmen arrive. It only takes 40 minutes to drive from Tulum to Coba, so if you’re doing a road trip down the coast, it’s an easy detour along the way. The site itself played a huge role in the region during the time of the Mayans. Keep your eyes peeled for the talled stelae, or tall carved stones that documented the daily life and important ceremonies performed by the people of Coba between 600 and 900 AD. If you don’t have a car, you can either take an ADO bus (inquire at the ADO terminal in Tulum for times) or you can take a tour. If you are based in Tulum, it could be as simple as joining a tour from one of the companies that sell tours on the main street. Most offer English speaking guides for an extra fee, but if you just want to get there, opt for the transportation only option which should only cost about $15 or $20 USD for the day. If you are staying in Cancun, this tour of Coba with dinner is a really cool option. 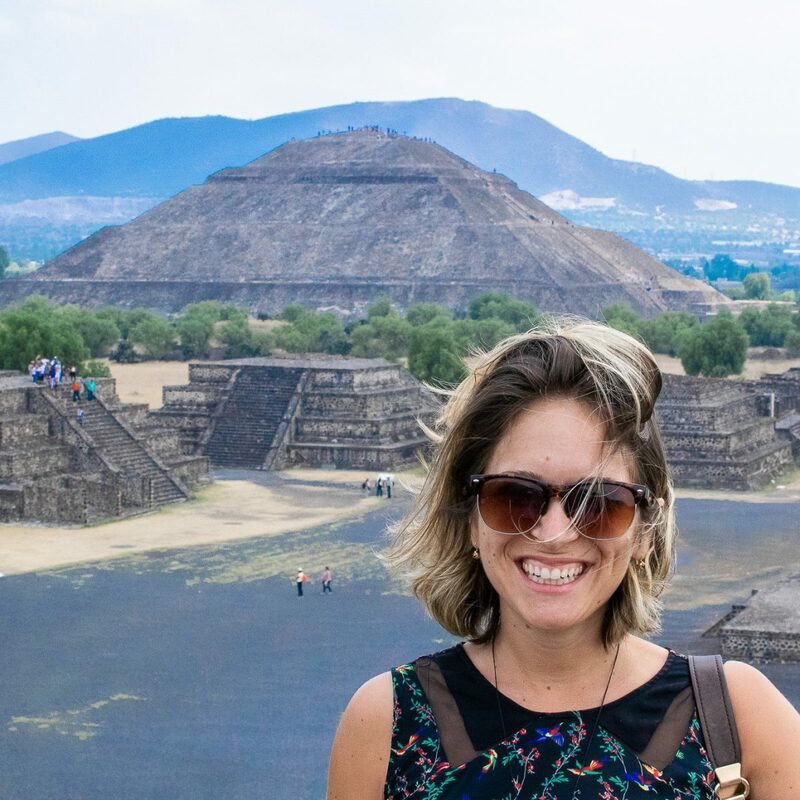 It’s definitely something that you won’t find elsewhere and offers something a little bit unique – perfect if you’ve been to Mexico a few times already and want to experience something new. If you’re staying somewhere along the Riviera Maya between Cancun and Tulum and you’re pressed for time or don’t want to deal with a bunch of tours, this is a one-stop-shop. This Get Your Guide tour will take you to Chichen Itza, Coba, and Tulum. It includes lunch, an English speaking guide, bottled water for the journey, and all of your entry fees. Besides being a great little beach town, which has recently become a luxury resort area for fashionable and food-loving tourists, Tulum is also home to one of the most stunning ruins in the Yucatan. These Mayan ruins are said to be some of the most important in the region and the view you get as you stand on the cliff’s edge is unbeatable. If you’re based in Tulum, it’s incredibly easy to get there. You can either rent a bike and cycle to the entrance (there are places where you can lock it up outside) or you can take a taxi or colectivo to the parking area. 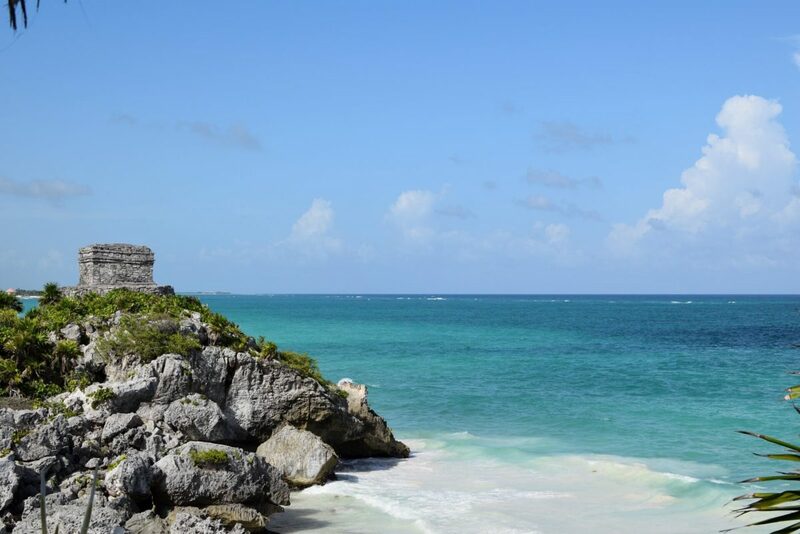 If you are coming from Playa del Carmen, you can easily and cheaply visit the Tulum ruins without a tour. Simply take a colectivo (shared taxi) from the colectivo area on Calle 2 between 20th and 25th avenues. You’ll see them all lined up. Simply look for the ones that say Tulum. Tell the driver you want to get off at the archaeological area (zona arqueologica). If you are staying in Playa del Carmen or further afield along the Riviera Maya, you can also take a tour to Tulum which usually also includes a stop in Akumal and at a nice cenote along the way. 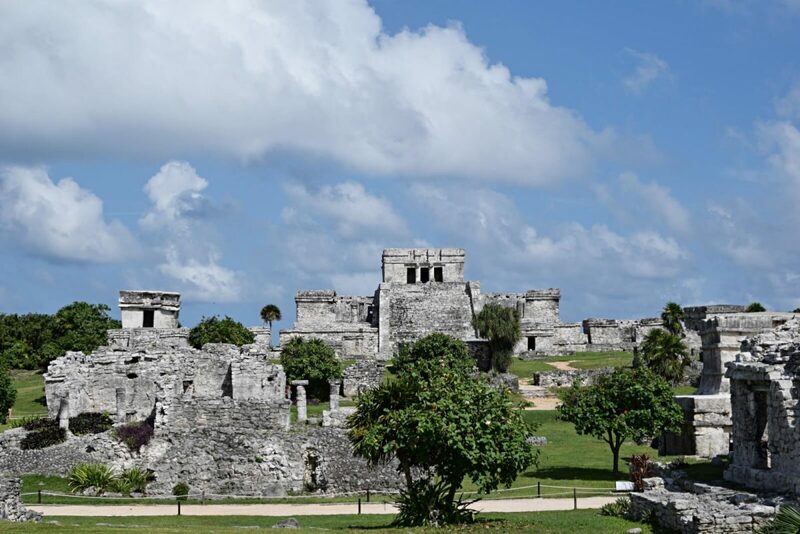 You can take a half day tour if you’re pressed for time or go for a longer 5-hour tour which gives you a bit of free time at the Tulum beach or more time to explore the ruins on your own. Dzibilchaltun is another easy day trip from Merida. It’s actually an incredibly short drive from the city center and can be easily reached if you have a car. It takes about half an hour to get there and is a great place to start the day if you plan on heading north to Progreso Beach for a day trip. It’s a small site, but is still really cool to walk around and one that I really enjoyed on our trip to Merida last year. If you don’t have a car, the second best way to get there is to take the bus from Merida. Head to the Autoprogreso terminal which is located on 62nd street between 65th and 67th in downtown Merida. As of writing this (May 2018) the buses leave the terminal at 7:20, 9:30, and 11:35 hrs. On Sundays it’s at 8:00 and 11:00am. The bus is 14 Pesos each way and it takes about 40 minutes. It stops about five minutes walk fro the entrance of the archaeological zone. « Is My Quality of Life Better Abroad?